Many people who play Blizzard games have given at least a passing thought to applying for one of their job openings. Sure, I only have a B. A. in English, but I could probably be an esports event technician, or whatever. The skills I’ve developed writing about pet battles would definitely serve me well enough to apply to be a systems administrator, probably. The latest offering from the Hearthstone team puts some cold water on those pipe dreams when the Lich King himself tries to land a role on the dev team. 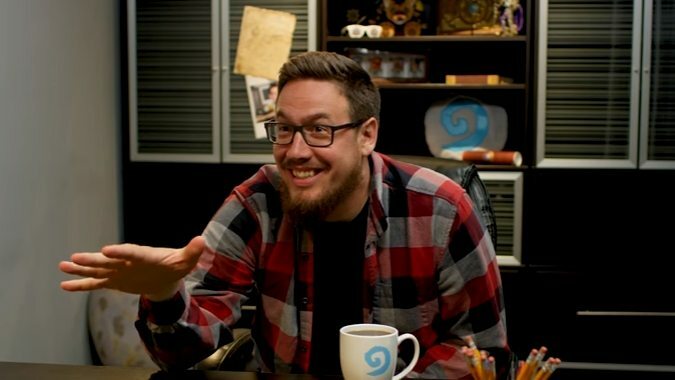 Ben Brode is as diplomatic as possible in his rejection but the Lich King is his usual fatalist self. He is the Lich King and all, but that doesn’t make him a pro at game development or social media management or whatever. The Blizzard Careers Twitter account also gave out a resume tip for those who want to follow in his footsteps — keep it to one scroll. It’s probably a good thing Ben Brode didn’t hire him. The cost of living in SoCal is astronomical, and it would be super unfeasible to just commute from Icecrown Citadel. He probably isn’t a great fit for the company’s culture, either.